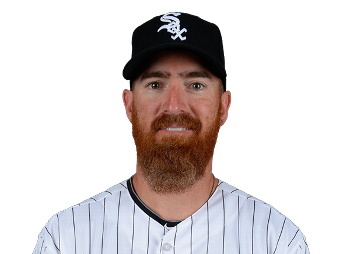 Outfielder Adam LaRoche has decided to walk away from a $13 million salary this year because the White Sox organization asked him to limit the number of times his son, Drake, would accompany him to the team's clubhouse. For the past five years, Drake now 14, has gone to work with LaRoche nearly every day. LaRoche was praised for putting his family first. LaRoche received support from other White Sox players who recently considered boycotting a spring training game in support of their teammate. Meanwhile White Sox management was vilified. ...[T]he White Sox also have every right to impose rules in their workplace and in this case limit visitations by the children of employees. Indeed. Major League locker rooms are adult places. While the White Sox and other organizations are more than gracious in allowing players to bring their children to work, they are perfectly reasonable when they ask players to limit those visits so it is not an every day affair. LaRoche's commitment to his son is commendable. But if he is going to play major league baseball, his employer, the White Sox, has every right to ask that he limit the time his son spends with the team. Why isn't a 14 year old in school instead of the White Sox dugout? Excellent question. I started to include a line about that, but didn't recall the specifics in another article I read. It was to the effect that the boy has an educator type who also travels with them. So the boy is essentially home schooled. Not sure how that works as baseball players play about every day and I'm sure they're at the park as much as 8 hours, including several hours before and after the games. He makes 13 million a year playing a game he certainly can afford child care. Wrong again, Paul. It's about keeping your word. When he negotiated with the Sox this was brought up, and agreed to that his son would be allowed to be around. Then they didn't keep their word. Sounds like a little pip-squeak move. You should know about that. If you're word isn't good, then neither are you.